Please do not use this software to make illegal copies of copyrighted discs. If everyone who likes my program donates $2 (or whatever they can afford), I'll be able get more drives working, test with more types of media and add more exciting new features! This one is dedicated to my Nan, who passed away just before Christmas. It's another 'quick fix' release to workaround the 'Insecure Library Loading Vulnerability' (MSA 2269637) in Windows. This one also adds proper (as in, multi-session/track) support for the .CDI image file format. * Requires pfctoc.dll from the 'Padus .CDI File Mounter' package (pfctoc.zip) which can be downloaded (free of charge) from Padus's website. There's a link on the 'Download' page. 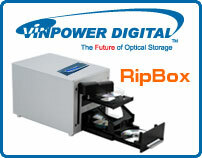 Following on from the Primera Technology range of auto-loaders support added in the previous version, this one adds support for the new Vinpower Digital RipBox. As usual, there are a few additions, changes and fixes too. I have quite a large collection of optical drives now (way beyond the capacity of my PC) and I've always wished I could have a few more on-hand for testing with. 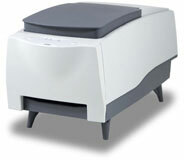 That's where my recent discovery of the 'Addonics Storage Tower' comes in! 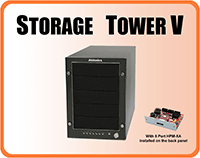 Addonics have Storage Tower units supporting 5 or 9 drives and up to 5 drives can be controlled via a single eSATA cable from your PC (9 therefore requires 2 cables). If any of the above sounds interesting to you, please take a look at the review I've just published. Following on from the Acronova Nimbie support added in the previous version, this one adds support for the Primera Technology range of auto-loaders. As usual, there are a few additions, changes and fixes too. Along with the usual endless list of tweaks and fixes (look at the changelog), this one includes support for Acronova Nimbie duplicator units and has a new Explorer style pane at the top of the Disc Layout Editor window. I guess the biggest addition in this release is the 'Advanced' Build mode interface where you can now create any disc/image layout you want and rename files/folders as and when required. Once again, something serious on April Fools day! As it happens, the v2.4 series did need another 'maintenance' release and this is it... sorry! 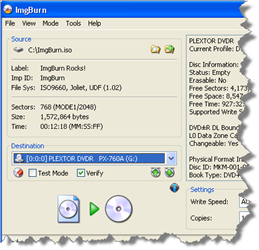 As the name suggests, the site is dedicated to providing you with a one-stop-shop for the latest firmware releases for your optical disc drives. The site is a joint venture between the man behind 'Digital Digest' and us lot (and by that I mean myself and the beta team!). The site has actually been up and running for a few weeks now, but with the release of v2.4.3.0, I figured now was a good time to plug it! ImgBurn now uses the search engine on FirmwareHQ.com rather than the (until recently) defunct one on RPC1.org when you use the 'Tools' -> 'Drive' -> 'Check For Firmware Updates...' feature. This will probably be the last 'maintenance' type release for the v2.4 series, meaning I can finally start to implement some decent new features! Thanks again to everyone that have helped make this release possible. Finally... something serious on April Fools day! 1. The Beta Team - They find the bugs so you don't have to! Occassionally they also come up with some decent ideas and if I'm feeling in a good mood I implement them! 2. The Translators - Helping to bring ImgBurn to the masses! I've enough trouble just doing the 'English (United Kingdom)' version so it's great that others take the time to translate it into their own language. 3. The Donors - All the kind people out there that donate some of their hard earnt cash. Seriously, without you lot ImgBurn wouldn't exist. Wow, how time flies when you're having fun! It's been ages since the last release and of course there's nobody to blame for that except me. Still, good things come to those that wait - right?! In this release you'll find some new features such as BIN/CUE support (yes, that includes multi-session/track images, CD Audio etc) along with support for newer revisions of UDF (1.50, 2.00, 2.01, 2.50 and 2.60). For a more detailed list, please click the link below. I'm not a company, I'm just me. If you need to contact me ('LIGHTNING UK!') for any reason, use the email address that's in the program's 'About' box ('Help' menu at the top -> 'About ImgBurn...'). 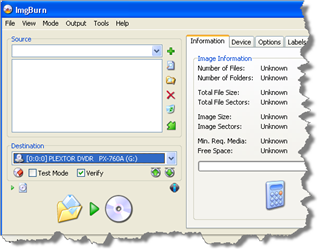 First and foremost, ImgBurn is a freeware tool. You cannot bundle it with your own commercial application and you cannot sell it in any way, shape or form. As an individual, you're allowed to use it anywhere you like - be it at home or at work (assuming they don't mind of course!). I'm not against it being rolled out in a corporate environment, just make sure the users know they are supposed to contact you with any support type issues and not me - I'm not an extension of your helpdesk!